These Half Cents Are the Last Ever Struck! 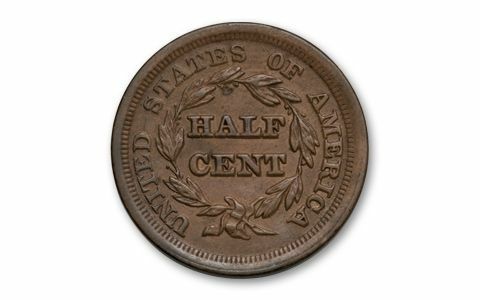 The first Half Cents were struck in 1793. It was the first coin struck for circulation and is the smallest denomination U.S. coin ever. The last variety is the Braided Hair design struck from 1840 to 1857. 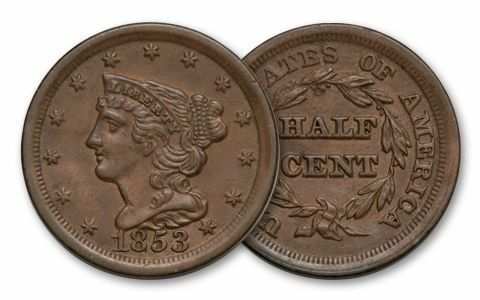 The Half Cent is exactly half the weight of the Large Cent and the coins have the same basic design. 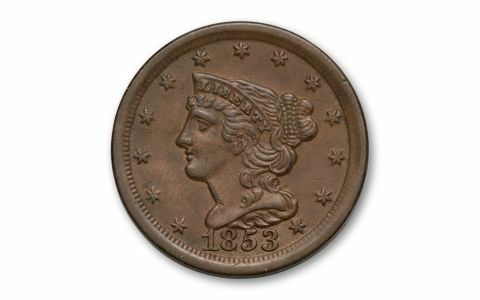 Only a little more than a half million Braided Hair Half Cents were struck—making this design one of the toughest U.S. coins to find, and the prize of many collections. Don’t miss your chance—get yours now in Brilliant Uncirculated condition.